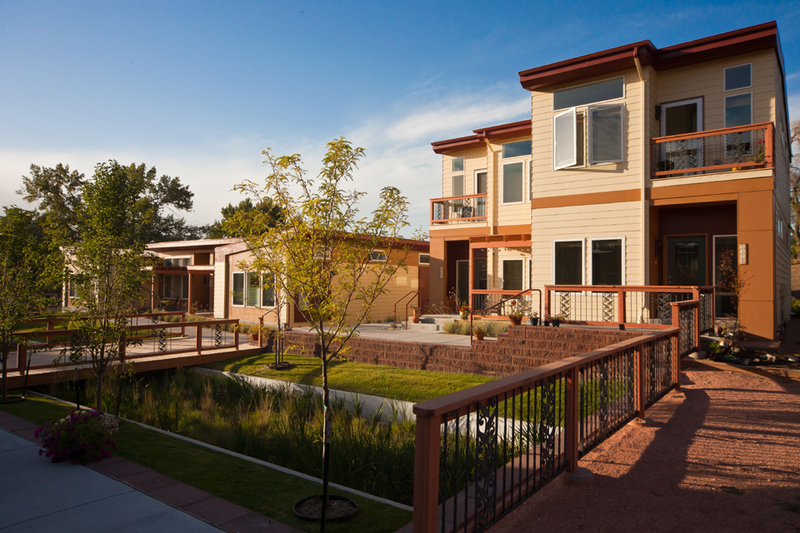 Casa Chiara is part of the first phase of Aria Denver, the redevelopment of the 17.5-acre site that was formerly home to the Marycrest campus in Northwest Denver. 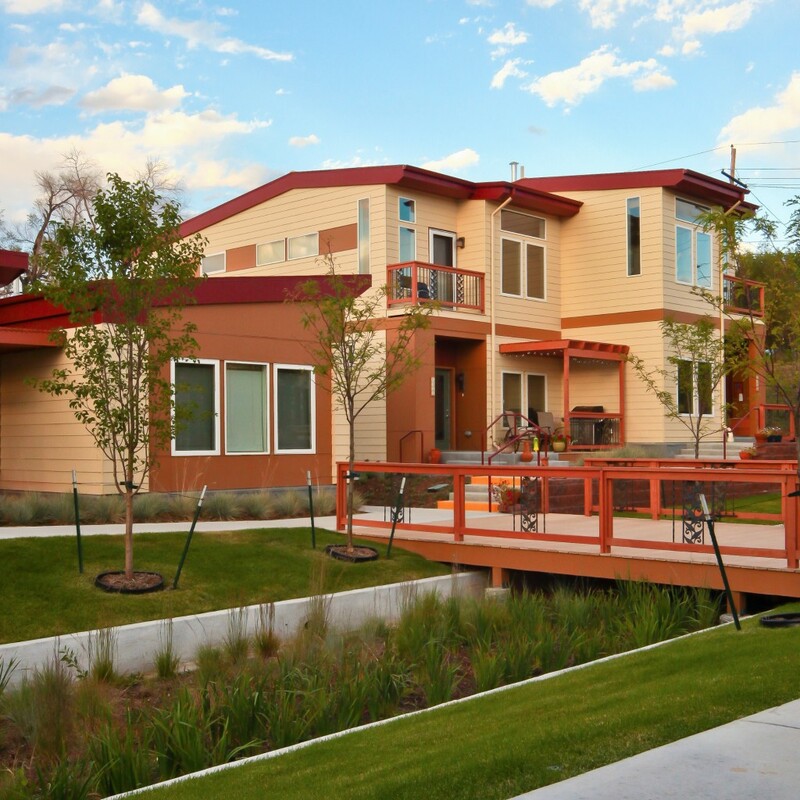 The development embraces the values of the land’s longtime owners, the Sisters of St. Francis Sacred Heart Province, who promote community improvement and environmental stewardship. 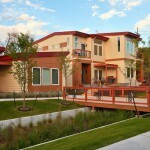 Casa Chiara consists of four buildings made up of six residential duplexes and one office building. 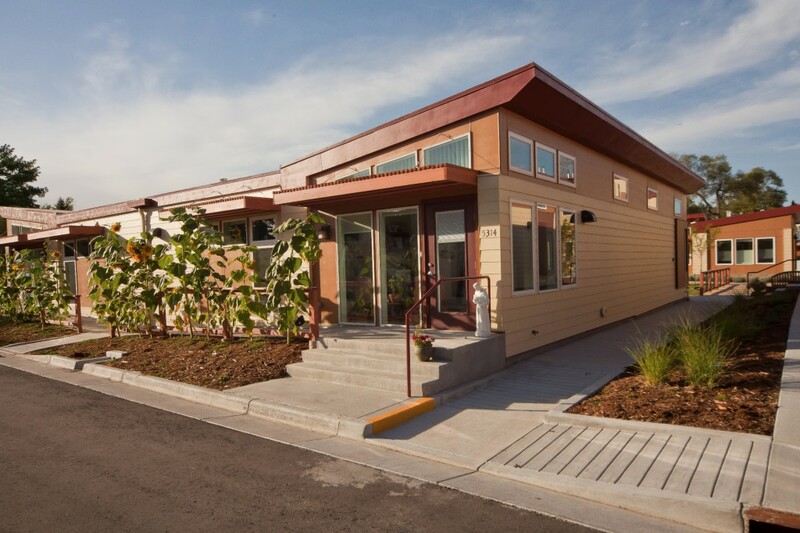 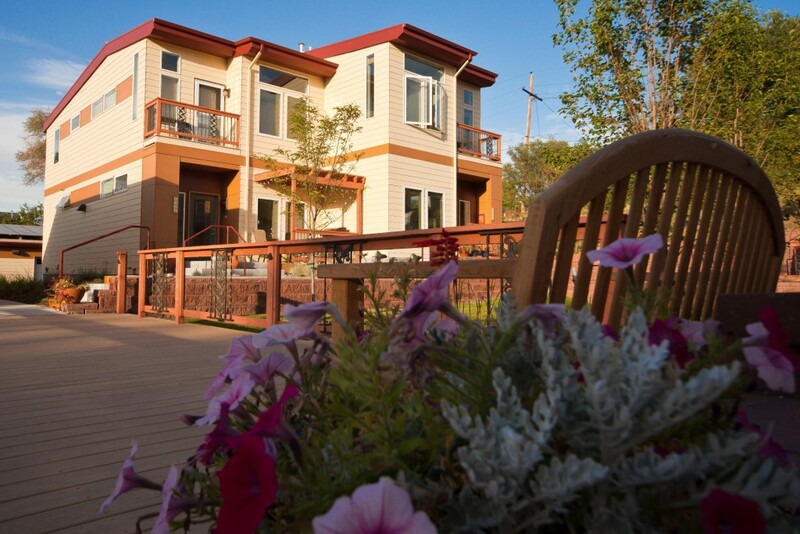 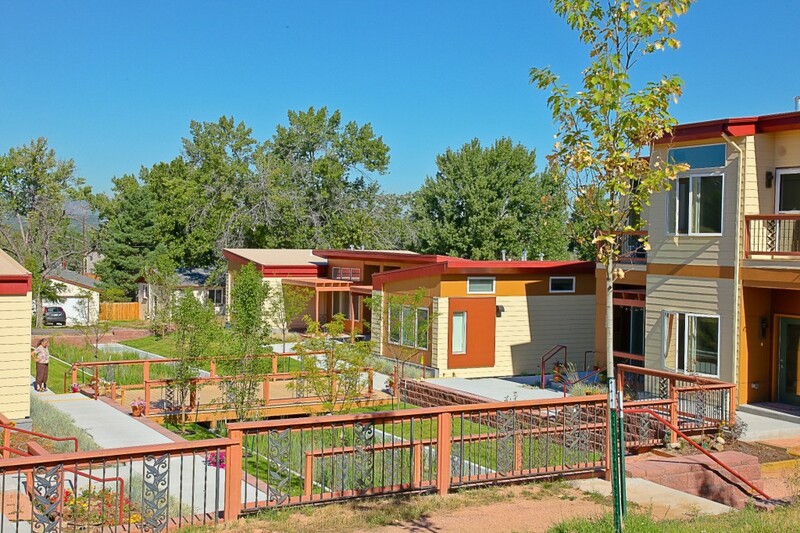 This compact and environmentally-sensitive mini neighborhood was designed by award winning architect Michelle Kaufmann, utilized modular construction, and achieved an ENERGY STAR rating. 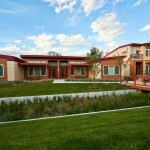 The buildings provide office and chapel space; a home for the sisters; accommodations for visiting sisters; and, accessible residences. 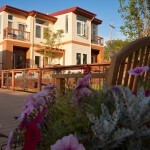 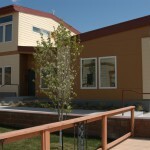 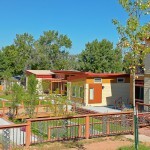 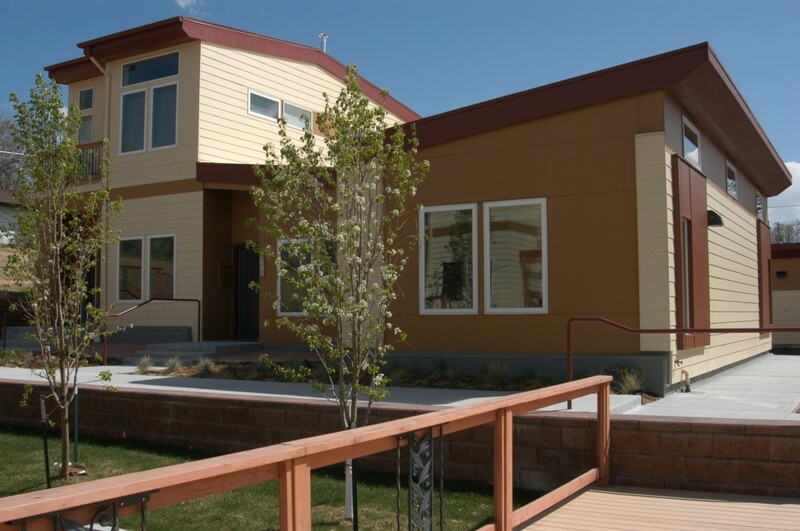 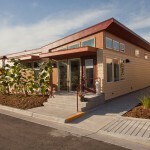 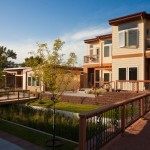 Unique Characteristics: Casa Chiara was the first modular construction that occurred in Denver for many years and was closely observed by many City departments and members of the community. 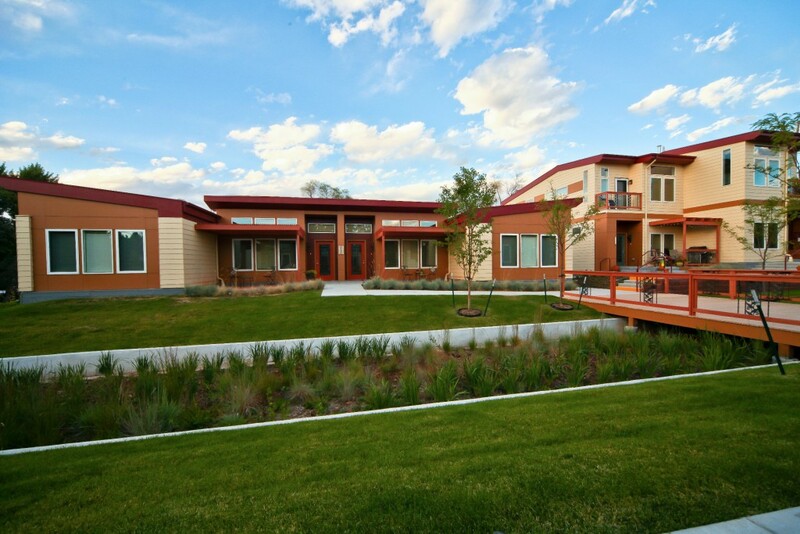 It also represented an important step in the redevelopment of the Marycrest convent campus into Aria Denver, as Casa Chiara is the new home of the Sisters of St. Francis, leaving the convent for other development opportunities.